Tenco is an Interaction Design Factory based in Malmö who analyse, design and develop contextual user centered products. As part of their interaction design work Tenco often creates analysis reports for their clients. 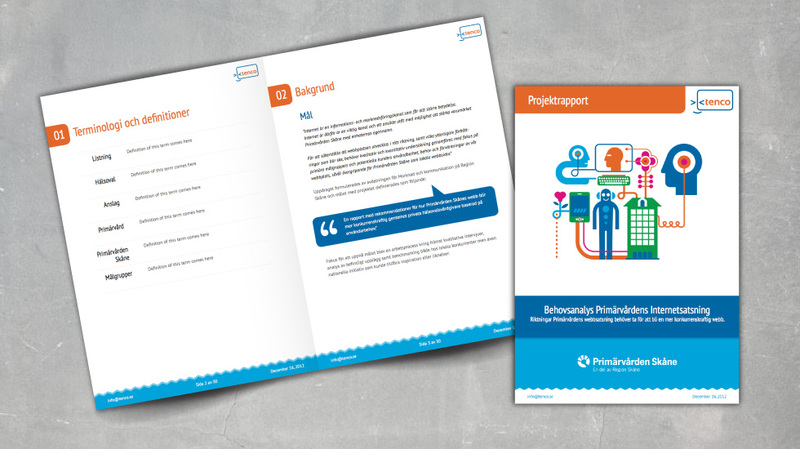 To match the high quality of these reports, Tenco wanted an equally professional, yet friendly, looking report template in which to package and deliver their work. We designed a clear and easy-to-read report template in Adobe InDesign, consisting of several different page layouts as well as tables, that Tenco can re-use for all their future reports.